While you benefit from our IT services, you can also take advantage of our expertise in security camera systems. 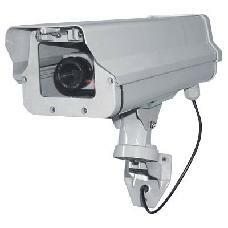 We offer the finest in surveillance equipment, fully installed at a VERY competitive price. Our Security Camera Systems with 4, 8, or 16 security cameras will record onto an internal harddrive using motion detection technology. They exceed the capabilities of old analog switchers, multiplexers and time-lapse VCRs. And, we'll integrate your system to your computer network to allow remote access for you to view your cameras from anywhere in the world via the Internet.